I didn’t think I would see two kids look more adorable than my sister and I did when we were busy sporting our Wonder Woman Underoos. And we were pretty cute…or so I thought. 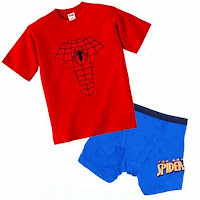 Until I saw my nephews in their Spiderman Underoos. Precious! I bet they looked adorable.